🔥 Get Your Warrior Plus Link . 🔥 🔥 🔥 Make Instant Commissions in your PayPal Account promoting a MUST HAVE Boosting Tool for every online marketer. I’m very happy to see you on this page now. 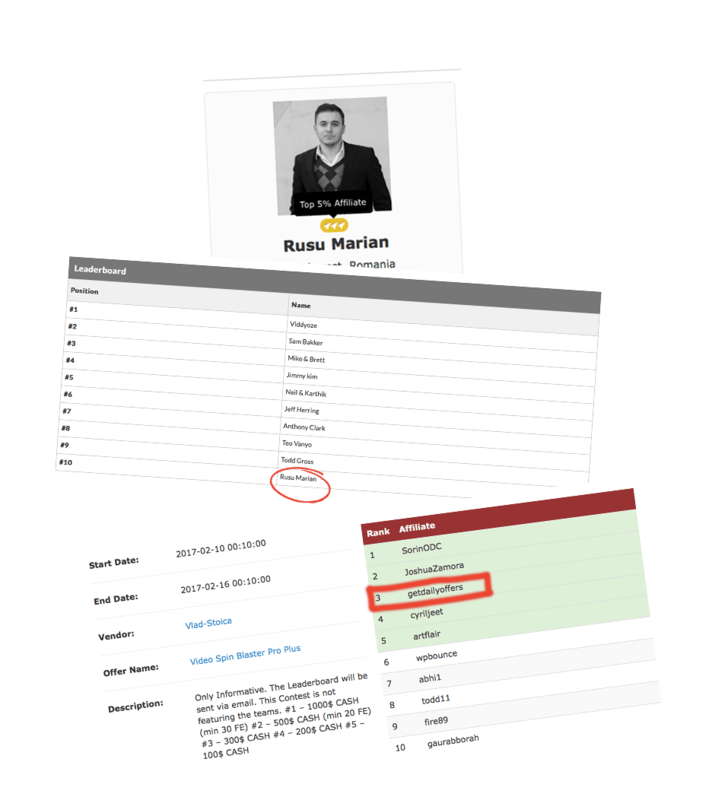 Here is Marian Rusu, proven affiliate for Warrior Plus and Jvzoo, with a record of years of results in IM and a lot of Top Ten Places Leaderboards. I want to invite you personally to promote Bonusify on Warrior Plus on December 11th, because i know you and your subscribers will love this Saas platform so, you can🔥 Make Instant Commissions in your PayPal Account promoting a MUST HAVE Boosting Tool for every online marketer. The most important thing, only by getting your help with this launch, we can achieve the best product on WarriorPlus and also a 6 Figures Success Launch. So , Get your link now and when it’s live schedule multiple emails and be ready to Crush this Launch. With my partner Cristian Toader, a professional developer with an important and valuable experience in developing powerful SaaS platforms, after months of hard work and many tests, we created the most advanced bonus builder on the market right now. 🤖 Over 1 Million Lines Of Code. 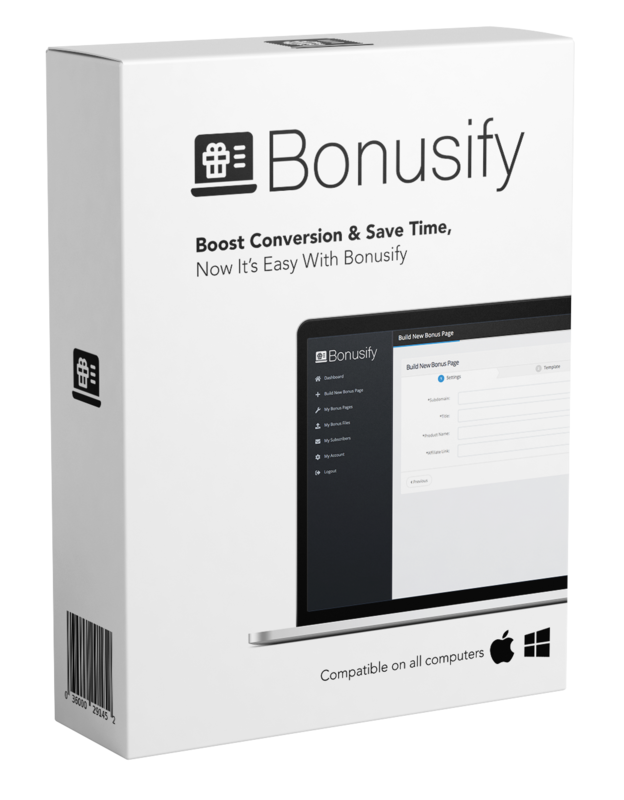 Bonusify is a SAAS platfrom created to boost results and create instant Bonus Pages and Download Pages. Our AI (or extended human intelligence) creates all the bonus pages and download pages you need in seconds. No special skills or experience needed. promos was 😓 time consuming and Boring. Bleah🤮 ! Use Bonusify to boost 🚀 your conversion rate & to attract more customers and generate more leads. Why 😍 Promote it ? *We allow teams, max 2 persons, send your details on my facebook. Contact me by sending a message on facebook and i will create for you a free PRO account to promote Bonusify. We have the best bonuses to help you to quadruple your conversion. Pro Tip#2: Feel Free To Use Our Resources. Feel Free to use our Graphics, Review Videos, The Review text, Articles and all our resources to increase your conversion rate, sales and commissions. Pro Tip #3: Hit The Iron When it’s Hot. Make Your schedule multiple emails at different time to catch different people at different time zones. People who mail the most makes the most commission. Lock and Load and go ahead pre schedule all your emails Now! Pro Tip #4: Mail it Early And Many Times During Launch. People do well usually mail way ahead of other affiliates. The ONE Thing ALL IMers Need? [87% OFF] Bonus Pages in Minutes? If you aren’t offering bonuses; you’re losing money. Straight up. Imagine being able to create irresistible bonus pages in just minutes… pages that skyrocket your clicks, conversions & sales. 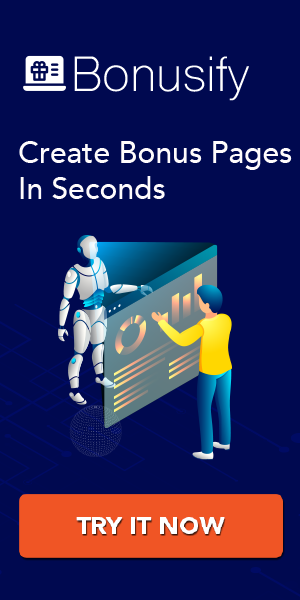 My friend and colleague, Marian Rusu, just released an amazing Bonus Page Generator that creates stunning bonus pages in minutes. That means you pay just 13% of the regular price – saving a TON. Nine out of ten marketers use bonuses in their marketing. 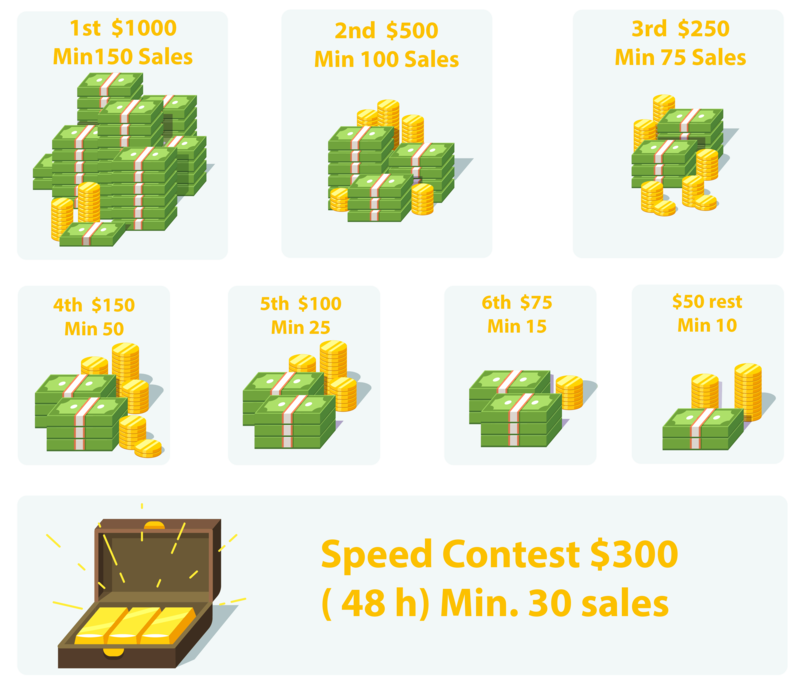 It’s been tested time and time again: Affiliate campaign with bonuses and without. The one WITH bonuses always WINS! Bonus pages that will boost your clicks, conversions & sales. All you need is this program and 10X your existing results. Online Marketers everywhere are going crazy over this! You can now get your bonus and download pages up faster and easier than ever. 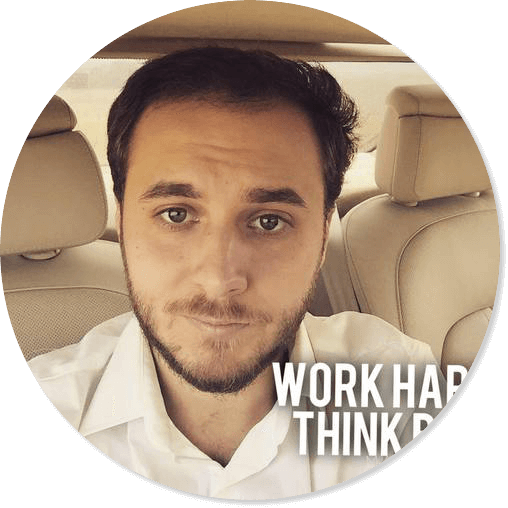 The FASTEST & EASIEST way to create bonus and delivery pages, and so much more! It does not require ANY tech skills because designing pages is instantly with this new app. You don’t need to hire a high-priced designer either! You don’t need to waste time creating delivery pages or call-to-action buttons because it Does it All for You! The best part is that these promo pages will know your visitors socks off. It will help start generating more sales for you!! Subject: 3 Simple Things You Can Do Today Boost Your Sales. Bonusify is a Real Game Changer! want to make serious sales as an online marketer. and everyone you recommend this software system to. No matter what you are promoting right now, here is one key to boost your sales from today. The key is to add value by offering a bonus. But there are a few problems with this strategy. It takes too long. There’s too much coding required to build bonus offer pages and delivery pages. Often these pages look like a toddler slapped them together. It’s no wonder most marketers don’t bother. Offering a review with added bonuses and trust, you can make more sales. This simple strategy just got a whole lot easier! Introducing Bonsuify, which is the fastest and easiest way to start rolling out online marketing promotion offer and delivery pages. This is a super-fast app that lets you point and click your way to the irresistible promo pages you’ve ever seen. You can add stunning graphics, videos, text and more all with the click or your mouse. The app even creates lets you build and customise call-to-action buttons! Bonusify makes it look like you spent a fortune hiring a high-priced designer to create your promo pages. No one will believe you used this app to create these pages in minutes! *You don’t need tech skills. *You don’t need to blow out your budget hiring a high-priced designer. *You don’t even need a website. Bonusify creates the pages for you, hosts them if you don’t have a site, and makes it easier than ever to promote them on social media. End result? More sales. A bigger list. An up to seven times more commissions. Of course you can pay someone to do this for you. But we’re talking about looking for the right guy, telling him exactly what you want, paying him a lot and finally not like his work. Money is lost as well as time, not to mention the stress that presses us to move quickly. Bonusify is a new sass platform that allows you to create in a few minutes, wonderful Bonus and Download Pages packed with Free Bonuses, professional templates and cool designs that melt your client’ s heart. What is offering Bonusify ? Bonusify comes with a complete set of tools, ready to create a Bonus and Download pages in a professional and efficient style and…you can do all that in a few minutes. No boring code settings, no time lost on design creation, no need for hosting or domain. Nothing of all this! After you write some details about your product, add your Affiliate Link, choose the template, select free Bonuses or add your own bonuses, copy/paste or write some features, the Bonus Page is done and ready for boosting your commissions. All the templates are very cool created . Your Bonus Page created will look like a page made by a professional graphic designer. The dashboard is very friendly and it is easy to work on it. Here you’ll see the number of your bonus pages created, your bonus files, frontend views and all the clicks. Also, you can see the latest clicks tracked. You do not need to have your own website. Bonusify will host for FREE all the Bonus Pages you need. Here, you can easily see all the basic details in order to create the bonus pages. Bonusify works with WarriorPlus, JVzoo, PayKickStart, PayDotCom, ClickBank and many other affiliate market places … so you have all these things about WarriorPlus such as: Account Setup, Warrior Plus Product Research, Affiliate Approval, Free Traffic and all other useful things. Especially, if you are a beginner it is necessary to know how it works WarriorPlus. In the begining, Bonusify is packed with 5 Free HQ Bonuses. Besides the promoted product, it is essential to offer other valuable products and a good price. These bonuses make the difference between those who have bad results and those who sell fastest. To see yourself this difference, Bonusify offers these 5 bonuses that will raise your value on the market. In conclusion, creating Bonus Page has always been a pain for most affiliate marketers, but with Bonusify, it really doesn’t have to be. With a few clicks you have your page is done and ready to bring you some cash. That’s awesome! This product is a bargain! Doing everything Bonusify offers, would it cost you three times more. That’s why I say…. Stop thinking! Just… Click below and download Bonusify! 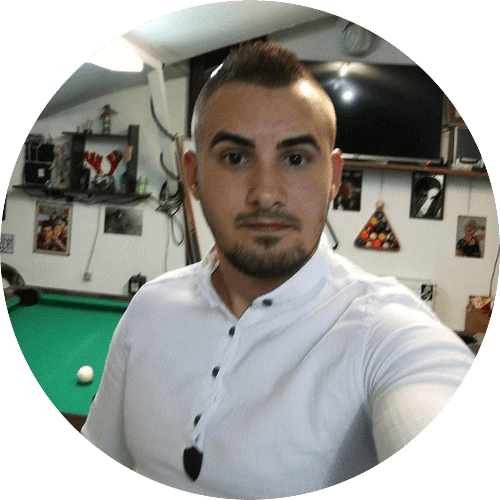 In this review I will talk about Bonusify, a new SAAS platform created by Marian Rusu and Cristian Toader, in order to make the bonus pages and download pages easier. I will present the useful aspects of the Bonusify platform that anyone would like to know before buying this product. There is important to see if the Bonusify’s advantages are in your favor, as well as if the Bonusify ’s disadvantages are indifferent to you or not. 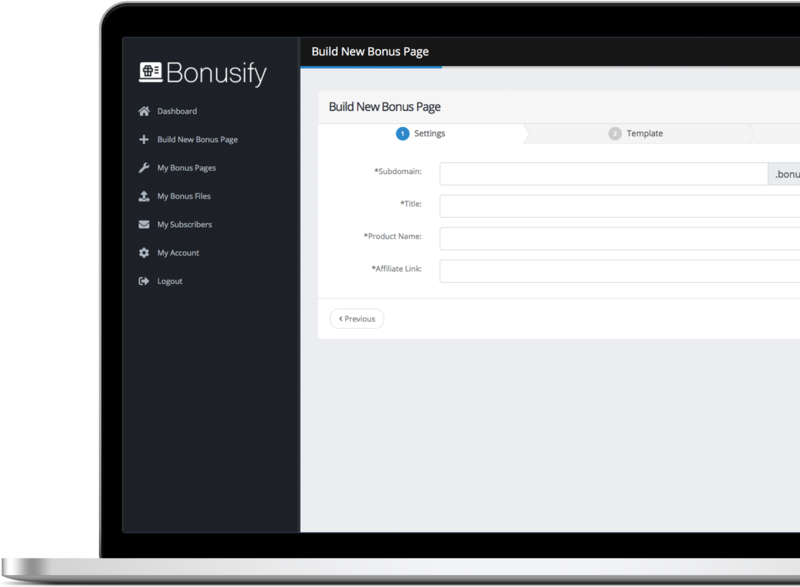 Bonusify is a SAAS platform that helps you to create more easily a Bonus page and Download page to boost your conversion rate, sales and clients. With our Artificial Intelligence Technology you can create all the Bonus and Download Pages in a few minutes. In this way, you will save time and money while your results are growing. It has a dashboard that is easy to work with. This is where you’ll see the number of your bonus pages created, your bonus files, frontend views and all the clicks. Also, there is a table where you can see the latest clicks tracked. It’s awesome! You need to know how to design web pages in order to create a good-looking page. Well, Bonusify comes with a beautiful design made by a professional graphic designer. All you need to do is to use it! This is a Pro feature. If you think that is necessary to make Bonuses Page each month, i strongly recommended you to buy the Pro version. Here, you will have new HQ bonuses and PRO Templates Bonus pages monthly. So, every time you create a new Bonus Page, you will have new valuable Bonuses To offer to your customers. That’s great news! To improve your customer list or, if we do not have one, now, you can create it. The chances of selling the promoted product will increase significantly, once you have a list of quality customers. If you do not have a customers list yet, now you have the chance to start doing one. With the purchase of a product from your bonus page, your customers can remain in your database, so you can create a real and genuine customer list. Nowadays, there is a huge competition on the market. Each Niche and Products has great leaders. That’s why your business or efforts will not survive without a promotion. Creating a Bonus Page with Real Value at your next promo can help to deal with this BIG PROBLEM. Everyone loves bonuses or gifts. Bonus Page is the key to attracting happy customers. All Top Affiliate Marketers use these knowledge in the right direction. You can also use it to create bonus pages for your own products. Bonusify offers 4 upsells. Depending on your needs and your business, you can see below what suits you best. Look what Bonusify FE includes! And the good things ? The main Great Thing is that you can create both intro Pages and Download Pages in the same time, which you can include FIVE Free Bonuse. For a better product presentation, you can embed video. With some videos in your pages your potential clients can make a clearer view of what they are going to purchase. Also, your Page created can be improved with Countdown timer. This one is a pro feature and it’s a very useful because it urges visitors to act faster. In conclusion, Bonusify offers you, in its simplest version, all the tools that you can easily manipulate to build a professional Bonus page with a cool design. All this without the need to know how to use codes or something about graphic design and waste you precious time. Bonusify is a wonderful and useful, when we no longer have time! Click below and download Bonusify! During the launch,i will personally create a FREE Bonusify Accounts for all affiliates , to create customised instant bonus and download pages, that guarantee a high conversion and high commissions for you. Please read the terms carefully. You agree that you are NOT allowed to do any of the following if approved as an affiliate for this product launch and promotion. 1. You are NOT permitted to conduct e-mail promotions in a 3rd party system; all e-mail contacts MUST be your OWN opt-in e-mail list. You cannot buy solo ads, use safe lists, use spam or any misleading marketing tactics. 2. You CANNOT run “negative” Pay-Per-Click or i-frame domain campaigns such as “Product name / author name scam” or any other method to attract controversial click through rates that an ordinary person would deem to portray a negative view of the product. This creates a very bad image for me and my products, and is not a very cool thing to do. Don’t do it! 3. You cannot earn commissions on your own purchase(s). Anyone found to be buying any of my products through their own affiliate links will have their commissions held back and will also lose their affiliate status and never be allowed to affiliate for any of my product launches ever again. Don’t do it, it’s not a cool thing to do. Anyone found using misleading claims, inaccurate information or false testimonials (or anything that does not comply with FTC guidelines) will have their affiliate account revoked immediately, and all their commissions will be forfeited without recourse.